MOSCOW, January 31. /TASS/. The front-end engineering design of the domestic supersonic passenger jet can take anywhere from 2022 to 2026, followed by its detail design. The United Aviation Corporation (UAC) will deal with these activities, the Russian Ministry of Industry said on Thursday. Research should be performed with use of the demonstrator during this period, aimed at improving aerodynamic characteristics and increasing the load ratio. 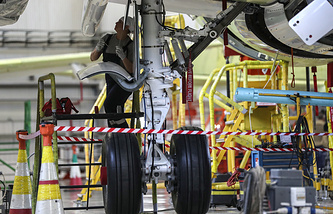 "Enormous work will have to be completed during the same period to prepare a package of regulatory documents aimed at regulating the processes of assessing conformity for ultrasonic passenger jets,” Russian Industry Minister Denis Manturov said in a comment. 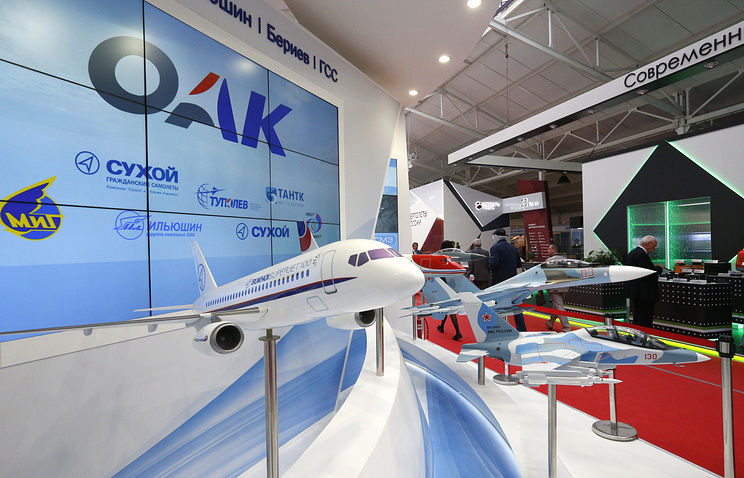 Research and experimental work for development of a new supersonic business jet would total 42 bln rubles ($644.3 mln), Mikhail Nikulochkin, First Deputy Director of Tekhproekty Design and Research Center affiliated with Tupolev aviation company, said earlier. Implementation of the supersonic business jet project is anticipated to be broken down into two stages, he said. The first stage is development of a demo airplane, with the first takeoff planned in 2024. The second one is development of a prototype version. The first flight is scheduled in 2027, Nikulochkin said.